I am finishing up on some Christmas gifts and made a few seasonings today. One of which is a lemon pepper seasoning. This will be great on fish or chicken; actually I can’t really think of anything it wouldn’t be good on even vegetables would be delicious with this combination. In spice grinder combine lemon zest, peppercorns, and thyme until desired size. Combine with remaining ingredients and use as seasoning for your favorite foods. 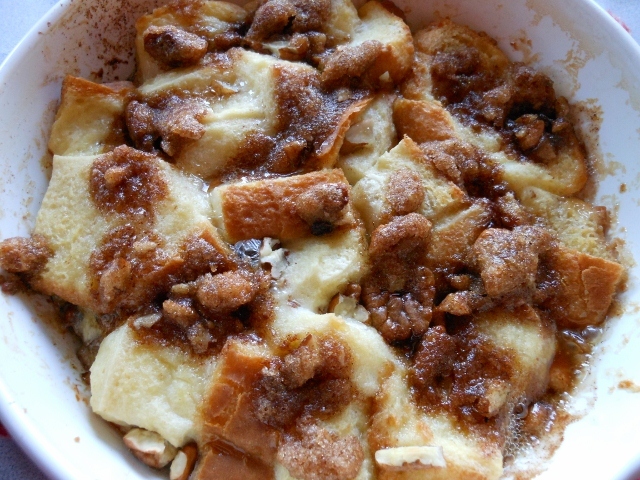 Thought I would try a make ahead casserole for breakfast today. Last night I made this and refrigerated until morning. I liked the way it came out. It could have used a little more flavor perhaps some fruit or maybe served with a little syrup; we just had it plain. 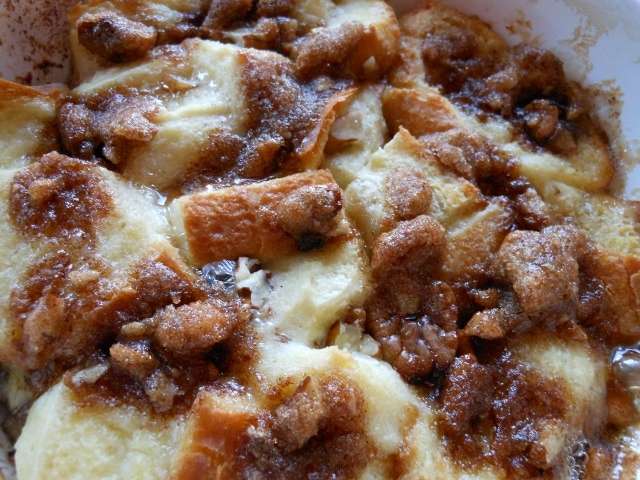 The recipe is for each casserole; it was actually more than I could eat which surprised me as I can easily eat 2 pieces of regular french toast. Just multiply the recipe to make as many as desired. Generously butter individual casserole. 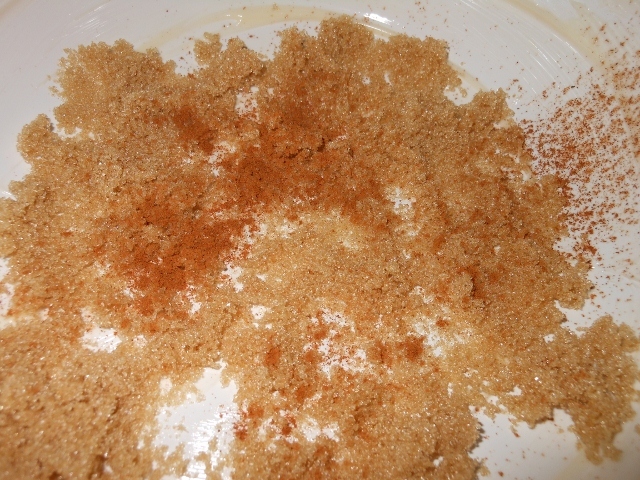 Spread brown sugar in bottom of casserole and sprinkle with cinnamon. 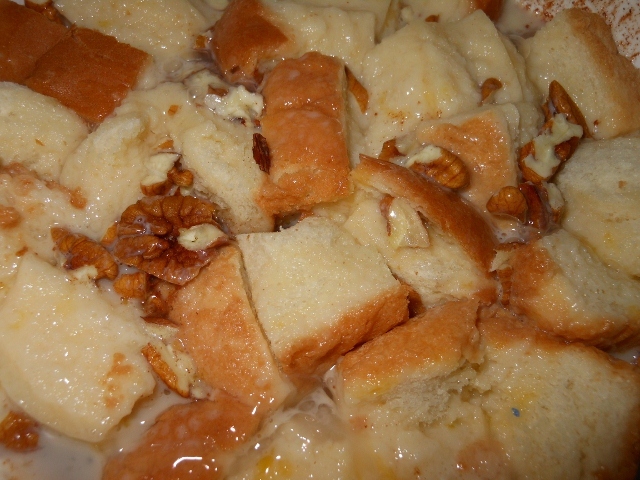 Add bread cubes and pecans. Whisk together egg, milk, and vanilla. 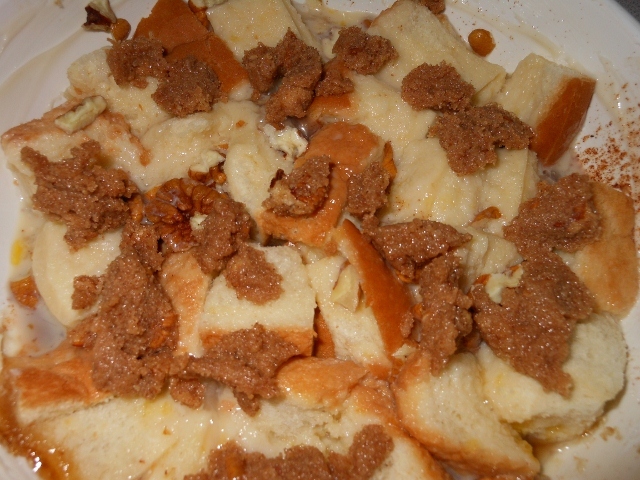 Pour over bread; lightly press bread into casserole to coat with egg mixture. In small bowl combine topping and sprinkle on top. Refrigerate overnight. Bake at 350 degrees for 25 minutes.